If you've worked in or managed a modern office, you're no stranger to access control systems. Few businesses these days seem to rely on conventional keys — at the very least, most use card readers for access control. Modern businesses understand that newer access control methods dramatically increase the security of your building and the safety of your employees and assets. So, why not take advantage of the same technology for an apartment building? If you're the manager or owner of an apartment complex and are interested in strengthening your security and the safety of your tenants, you will want to consider installing some kind of access control system. What Kind of Access Control Systems Are Available for Apartment Complexes? Whatever access control systems exist for businesses can be used for apartment complexes, as well. This can include everything from the simple card reader to key fobs that allow access as long as the resident has the fob on their person to solutions like biometric readers and even smartphone access control. Restricting Access: You can design systems, so residents only have access to their apartment and their floor — not others in the building — to increase safety. Restricting access is also useful if you have a retail space as part of your apartment complex, so you can allow the general public to access that space while only the residents can get into living areas. No Lost Keys: When you use a fob, biometric reader or smartphone access, you don't have any keys to lose. This is great for senior residents who may be forgetful, and it also means fewer trips for the landlord out to let residents in. You also won't need to change locks because there may be a loose key floating out there somewhere. Parking Access: Your access control system can include access for authorized residents to the parking garage, meaning no need for an additional garage door opener for them to lose or misplace, allowing strangers access to the whole building through the garage. Common Area Access: The access control system can make it easy for approved residents to get into apartment gyms, lounges or other common areas. Security Tracking: Access control systems also allow you as the manager to know exactly who is entering what areas of the apartment complex, as well as at what time. If there is an incident anywhere in the building, you can look through access control records to learn which resident or residents gained access or allowed others access to the area where the incident took place. Easy Adjustment of Access: With an access control system in place, you will have no problem adding or deleting resident access as needed. If someone is moving out, you can make sure they no longer have access to the building the same day. No need for making new keys or changing locks. If you need access control systems for your apartment complex in North Carolina, get in touch with the company that has been providing access control support for businesses in the Research Triangle Park area, the greater Durham area and beyond for years. Our security experts can work with you to determine the best access control system and features for your apartment complex, and we can install the entire system for you. If you’re ready to leave the headaches of apartment security worries behind and enjoy the peace of mind of knowing you have full control and knowledge over who has access to every area of your apartment complex, it’s time to call Intellicom. Whether you want biometrics, card readers, smartphone access or another type of access control system — and whether you have a major apartment complex or a modest apartment building — we can design and install an excellent access control system for you. We will send our own team of personally selected, highly-trained professionals to do the work, not subcontractors who we don’t know. We pride ourselves on providing the best people and the best equipment for your security system. You can also call on us for any possible service needs for your apartment complex access control system in the future. There’s no time to waste when it comes to the security of your apartment building and your residents. Contact Intellicom for a free quote on access control services today. At Intellicom we understand that your next meeting, presentation, classroom training or special event is extremely important to you. That is why we strive to produce the ultimate experience for any audience. Whether it’s video conferencing capabilities, an integrated presentation system for your boardroom, SMART interactive collaboration technology, dynamic digital signage for your lobby or training for your new system, we’re your audio-visual resource. Video conferencing setup in North Carolina doesn’t have to be expensive or out-of-date. We bring a wide range of technologies and expertise to your install so your efforts are more effective and you can cut costs by reducing paperwork and much more. Intellicom provides video conferencing solutions for small businesses and large enterprises to help boost your ability to reach your audience and communicate effectively to a wide range of people. From meetings and conferences to interviews or evaluations, Intellicom video conference solutions for North Carolina businesses are designed to improve your operations and boost productivity. Contact Intellicom to learn about our wide range of AV and video conferencing services with integration for today’s leading security and intelligent cabling needs. Video conferencing solutions for North Carolina from Intellicom are an industry leader, and you’ll see why we have a 100% satisfaction rate with our video conference customers. Do you have huddle rooms in your office? Have you been hearing about huddle rooms and wondering whether they can be effective for your business? Huddle rooms are a new take on the conference room that can either fit in with or enhance your company culture to improve collaboration while streamlining workflow. Here’s what you need to know about huddle rooms for businesses. While the large conference room still has its place, many modern offices are all about smaller group collaboration. But trying to reserve the conference room every time a small group wants to collaborate can be inconvenient, and multiple full conference rooms are usually not a cost-effective solution. A better solution? Huddle rooms. Rooms with many of the more essential features of the conference room, but without taking up as much space. Dedicating space in your office to huddle rooms can have many advantages. For one, you can have more of them, so if multiple groups want to collaborate at the same time, there will be no fighting for space. For another, smaller rooms encourage closer collaboration, a more intimate environment where each member may feel more empowered to contribute their ideas, knowing that they are more likely to be heard and receive useful feedback. Finally, huddle rooms allow for more spontaneity. Whenever a few of your team members get an idea and want to hash it out, they can pop into a huddle room and do it, without having to worry about finding space or meeting out in the open. So, what should be in a well-equipped huddle room? You can actually equip many of your huddle rooms with the basics without incurring a tremendous expense. Naturally, you will want to have a small table and some chairs that people can sit around to share ideas. But, you'll also want to have some audiovisual equipment similar to what you have in your main conference room, such as electronic whiteboards — or SMART boards — a quality TV display, a reliable audio system and fast wireless connectivity to connect with a projector or your display system. Should you opt for multiple huddle spaces instead of conference rooms? In most cases, conference rooms still have their uses. You may have morning meetings that require all hands on deck, or you may be meeting with clients, either in person or through video conferencing, and prefer the professional appearance of the conference room for that purpose. However, if you're trying to decide between a second conference room and multiple huddle rooms, you may find that huddle rooms provide a greater cost benefit. Your huddle rooms do not necessarily need complex telephone systems, do not require as much furnishing as a conference room and can usually be effective with smaller equipment. In most cases, you should be able to outfit your huddle rooms for as much or less than it would cost you to create a new dedicated conference room, and it should give you more flexibility with respect to office space. Furthermore, the existence of huddle rooms may actually inspire more collaboration among your employees, knowing they have these new rooms to share ideas in. Inellicom USA, the experts in audiovisual solutions for businesses, can equip your huddle rooms as easily as we do conference rooms. We can offer you high-resolution display screens, cloud-based conference room control software, fully interactive electronic whiteboards, crisp audio solutions and more. We can also handle the design and installation, so your huddle rooms look exactly how you want them to. When you work with us, you'll get complete, reliable functionality from all your conferencing systems from day one. Whether you are designing a new space and want huddle rooms to be a part of it or you're looking to integrate huddle rooms into your existing space, we can design a solution for you. 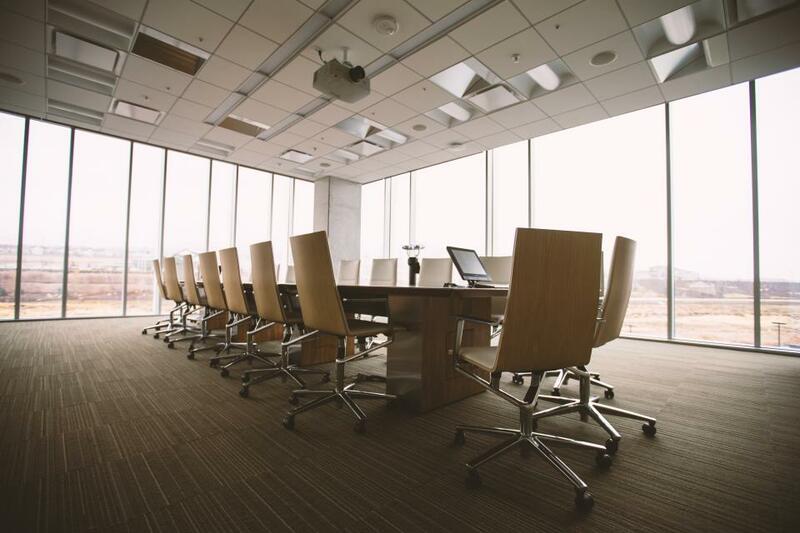 We have equipped many conference rooms and huddle rooms with quality audiovisual and conferencing solutions over the years, and we're more than happy to do the same for your business. If you have offices in Durham, Charlotte, or the surrounding areas in North Carolina — and some parts of South Carolina — we’re ready to help you take your team’s collaboration efforts to the next level. Contact us today for more information or to receive a quote on huddle room technology products, installation and other services from Intellicom.